Coffee shops in Amsterdam are loved by everyone; visitors from around the world always stop by a coffee shop if they are ever in the city, and locals take pleasure in doing business with the owners and even taking their own ventures in the coffee shop business (also have a look at the Amsterdam Coffeeshop guide). Some will be okay, others will be great, and some still will be amazing. 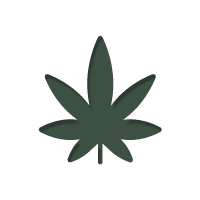 Each offer a different variety of products and different styles & selections of marijuana strains, and different shops will match different people’s preferences. But here’s a list of the coffee shops that make our top ten. 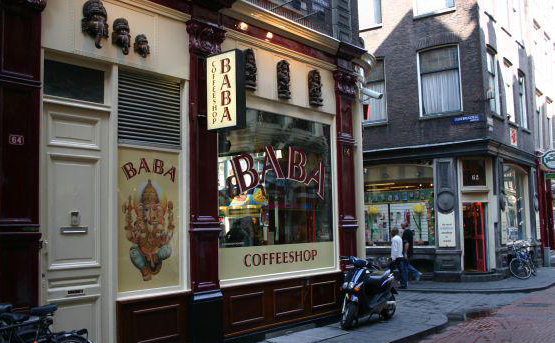 BABA coffee shop in Warmoesstraat has a Middle Eastern flair to its interior. Dazzling statues of deities, complete with multiple arms and mystical robing, can be seen throughout the shop. The place has a great social atmosphere; frequenters of the coffee shop often plan get-togethers after store hours (closes at 1 pm every day) to talk about and enjoy cannabis. Some of the frequenters’ favorites on the BABA menu include classic White Widow & Jack Herer, Aghani Border, Skunk Jack Herer, L.A. Confidential, and Thai. When you first walk into Popeye’s, you’re greeted with a very colorful atmosphere; literally. The place is, on top of being filled with colorful people, filled with decorating rainbow designs and warm tones. Likewise, its menu is filled with a colorful array of herbs, including seven Haze strains, three Kush strains (Vanilla Kush, Chocolate Kush, and Pink Kush), and a special “Popeye Mix Weed” that goes for €5 a gram or €20 for 5 grams. They also have a great selection of hash, the priciest being Aladdin’s Chocolate. 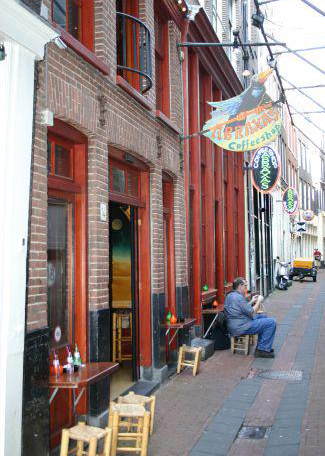 The Grasshopper is a buzzing, trendy coffee shop and bar in Eindhoven, in business since 2007. Today it’s instantly recognizable by its glowing green exterior & iconic neon sign. The entire interior of the building is four stories and the lounge is a classy, exciting area to meet new people and have fun. Their menu isn’t giant, but it packs a punch. Among the choices are some superbly selected classics such as White Widow and Northern Lights, as well as an inventory of seven different hashes, including Afghaan and Maroc. 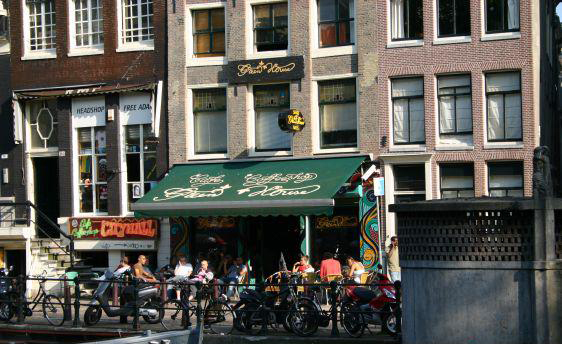 The coffee shop earned a place among the top forty of Amsterdam in Mellow Pages: A Smoker’s Guide to Amsterdam by Kip. 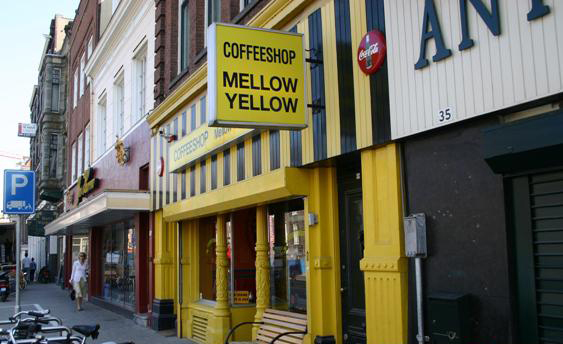 The Mellow Yellow Lounge in Vijzelgracht is a classy yet friendly bar & shop. The inside is very clean and lit like a club; the place often hosts parties complete with DJ’s, dancing, and of course marijuana. Their menu is large and professional, dividing marijuana into sativa & indica alongside hash, pre-rolled, edibles, and their cannabis ice-o-laters. It offers plenty of favorites often missed by other coffee shops such as Dr. Grinspoon, Pot of Gold, Silver Haze, and even Honey hash. They serve space cakes, and one flavor of their ice-o-later has the menu description “pure resin and trichomes pressed together”; that’s their Schaartjes (at an impressive € 50 a gram, supposedly worth its price in potency). The word Abraxas has its roots in the Mystics of the Middle Ages; each one of its seven letters representing one of the seven classic planets. The Abraxas coffee shop, in Jonge Roelensteeg, is a very clean, cozy, and welcoming environment, with a hint of Mystic & Middle Eastern flavor. Its tables and desks are an elegant wood, its walls are hand-decorated tile patterns, and its menu is brightly lit and embedded into a colorful, winding mosaic. The shop and its employees obviously have a keen eye for detail. Their menu selection reflects that, offering a powerful hitting assortment of strains including Silver Haze, Mako Haze, Amnesia Haze, and Amnesia Lemon. Among their larger selection of hash are some non-traditional finds like Super Pollum and Ketama, as well as reliable classics including Ice and Moroccan Ice. Overall, frequenters love this coffee shop for its great atmosphere and reliable picks. Titling this coffee shop’s menu are the impressive words: “Green House / Winner of 38 High Times Cannabis Cups.” This small but tightly knit coffee shop, also known as the Green House Centrum, is in the heart of Waterlooplein, and the staff and customers there are enthusiastic about their herb. In addition to their regular stock of fine marijuana, the Green House sells their own popular strain line of “G-Exclusives,” which are bred monthly and offered at request. Its year-round menu includes some greats such as Trainwreck and Jack Herer as well as strains like Flowerbomb Kush and Traincrash. They also have a good selection of hash and pre-rolled joints. The shop is well decorated, including an interesting light wall and glass windows that give the entire place a mysterious, meditative aura. The Green House is a great place to sit back and chill with a couple of buddies, whether you just want to smoke or feel like meeting some other frequenters. Kadinsky is located in Rosmarijnsteeg, and it’s often the choice destination for locals who live near the area because of its talkative social atmosphere and staff. The menu, known by its thick silver binding, is superb, with plenty of different indica and sativa strains to satisfy any smoker’s marijuana hunger at the time. Top herb choices include Dr. Grindspoon, Blueberry Cheese, AK-47 (hydroponically grown), and Master Kush. They also offer up some top quality hash such as their Silver Haze Ice, and sell hash spliffs that have tobacco mixed in along with their standard joints. The shop is nice enough to have descriptions of the high of each product on their menu; for example, Fatima’s Hand’s effects are described as a strong, deep stone. Overall, the people at Kadinsky are great, and it’s hard to leave the place after a smoke with friends not feeling amazing; and that’s why it makes the top three in 3rd place. Dampkring is a wonderful, uplifting bar and coffee shop with a classy candle-lit interior and a very chill atmosphere. In the spacious interior, which flaunts a decoration style resembling that of Southwestern & Spanish architecture, people can be seen sipping a beer, looking over a row of jars in front of them, occasionally picking up a nug or two and giving it a whiff before weighing it out and rolling it into a joint. Since its original opening in 1993, Dampkring has bred several Cannabis Cup winning strains and offers a large menu that’s filled with instant favorites. Countless customers pick up nugs of Mexican Haze, Sour Diesel, C5, G13 Amnesia, and Kali Mist, before popping it in a joint and sitting down for drinks and laughs. Dampkring boasts an extremely large hash selection as well, with hashish ranging from Cheese Dab and Simpson Kush to Dabstep and Dutch Moonshine. This coffee shop is a true find in Handboogstraat, and, open until 1 am, the #2 winner on our list is thankfully there for you most any time of the day. Every coffee shop in Amsterdam has its own unique flavor, and each menu reflects the tastes that the owners and employees have developed over their life as a marijuana smoker and grower, giving it its own unique flair. 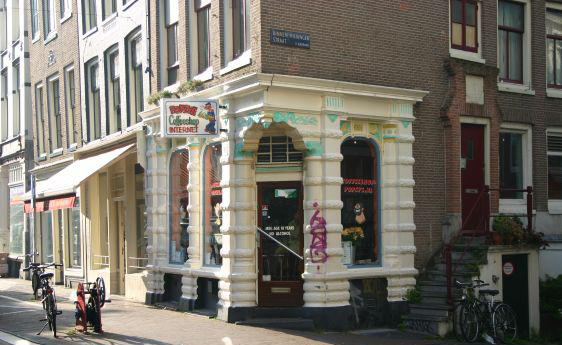 Barney’s, as it goes, has been in the business in the bustling business sector of the Haarlemmerstraat for 23 years. It shows in their shop, where at every table an LCD display cycles through marijuana information relevant to the customer sitting there. The place is busy, buzzing, full of laid back, enthusiastic people, and dressed up lively, giving off that choice bar/coffee shop atmosphere that all shops seek to achieve. At Barney’s, you can expect the unexpected, such as trained staff attending to your coffee, beverage, and marijuana needs as well as a personal, freshly cleaned vaporizer at each individual customer table. On top of all this, Barney’s menu is legendary, carrying varying selections of their own famous and numerous Cannabis Cup winners among other top quality strains of the area. They offer their own pure-bred Dr. Grinspoon, winner of the 2011 Sativa Cup, their G-13 Hawaiian Haze, their Utopia Kush with origins in South America, and Pineapple Chunk, a 3-way breed between Pineapple, Cheese, and Skunk #1. Even their hash menu boasts their own Cannabis Cup winners, including Nepali Temple Ball, winner in 1999, and Triple Zero, the popular hah that won in 2008. All in all, the one complaint that Barney’s ever gets is that the location is actually too popular; numerous locals frequent the shop daily, and tourists often visit the shop for its well-known name. To some, however, the more the merrier, and this is only another plus, letting them enjoy the atmosphere and get to know some new faces. Overall, Barney’s is definitively a go-to coffee shop for choice server, choice marijuana, and choice people. With three separate high-end coffee shops across Amsterdam, Boerejongens has quickly made a name for itself as one of the go-to coffee shops of the city. A reported favourite of the locals (which is always a great endorsement), Boerejongens goes against the stereotypical reputation of a dingy coffee shop – boasting hardwood floors, marble counter tops, and professional, well-dressed and knowledgeable staff. The fact that the bud they sell matches this quality makes Boerejongens a must visit for any cannabis-enthusiast that considers themselves a connoisseur. Our particular favourite is their White Choco, so be sure to check it out! Different people have different preferences. Some smokers might enjoy the quieter atmosphere of BABA while others love the bustle at Barney’s, and even others still have to go bigger and opt for the Grasshopper. Many more frequent shops not listed here. But, these top ten are definitely great places with great people, and if you’re looking for a place that you know you can’t go wrong with, any of these coffee shops are sure to meet your needs. 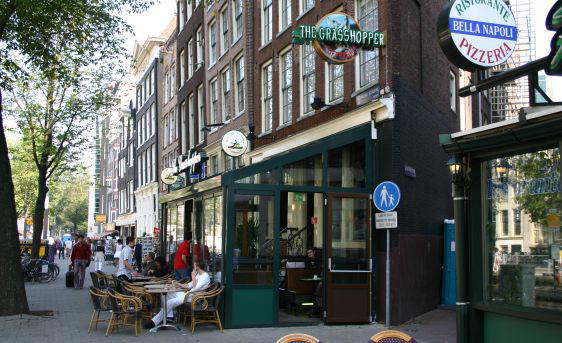 Also have a look at the Amsterdam Coffeeshop guide! 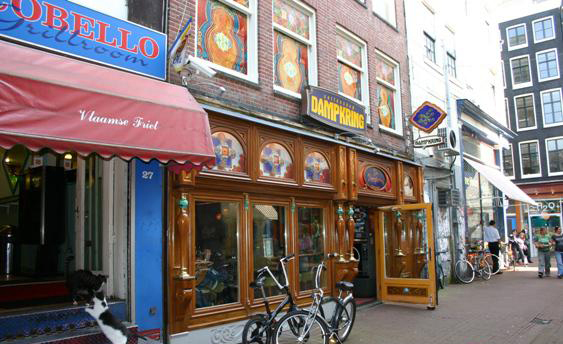 In this guide ALL coffeeshops in Amsterdam are listed - and there are more than 200 of them! But it's much more than that; it's the ultimate resource for a perfect stoner holiday!